November 2012 | MMA Fighting Events Videos Techniques UFC Fight Picks and News. On December 15, MMA gyms and schools in and around the Los Angeles area will get a chance to showcase their talent. Chingasos MMA has once again teamed up with Coach Tony of Villa Parke Jiu Jitsu to bring together a submission wrestling, no-gi BJJ, competition. If you've been itching to showcase your grappling skills, this is a free competition for you to do so. Just like our last competition, this one will be set up tournament style, but this time it won't just be an individual affair! This time it will be a team/gym exhibition tournament! This team/gym format will allow area gyms to form a 7-person team. Each person on that team will have an opportunity to earn a point for each win. Those points will go toward the team. At the end of the exhibition tournament, a school/team will be crowned as Kings of Submissions in the Chingasos MMA Grappling Challenge, hosted by Coach Tony. A team trophy along with a highlight video produced by Chingasos MMA will showcase the best of the best grapplers in the Los Angeles area! 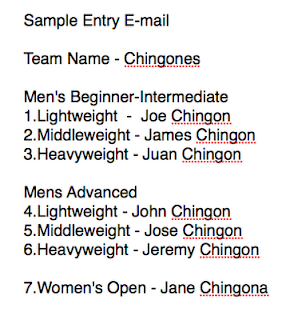 E-mail Chingasos MMA with the name of your 7 person team, as well as the names and divisions (1 in each division) of each member to register. 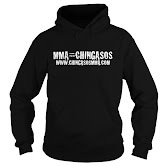 This team exhibition tournament will be limited to the first eight teams that register with Chingasos MMA. This event will be completely free to compete in! There will only be a $2 donation at the door for spectators. Each win in the Men's Beginner-Intermediate and Women's Open Division will earn one point towards the team or school total. Each win in the Men's Advanced division will earn 3 points towards the team or school total. Each match will consist of 1-five minute round. The only way to win is by submission. 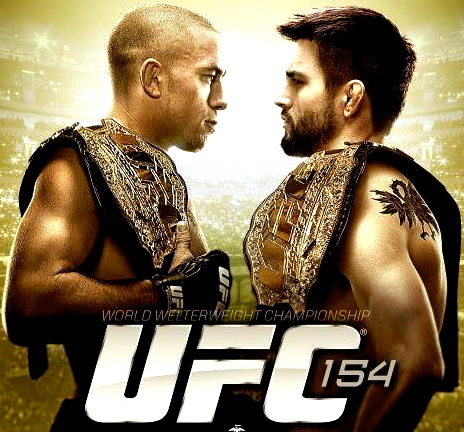 If there's no winner at the end of the five minute round, there will be a sudden death over time where the first person to get a takedown wins. done a random basis within the respective division. Rules meeting will begin at 9:30, and all competitors are required to attend. Matches will begin at 10:00. Competitors may wear gi pants, gi shorts, MMA fight shorts, grappling shorts, or acceptable gym shorts (referee discretion). All pants and shorts must be free of pockets, metal or hard plastic. Cargo shorts or any other street clothes will not be allowed. Competitors must wear shirt, t-shirt, or rashguard. Wrestling shoes will be allowed. Competitors must also wear a groin protector and mouthpiece. 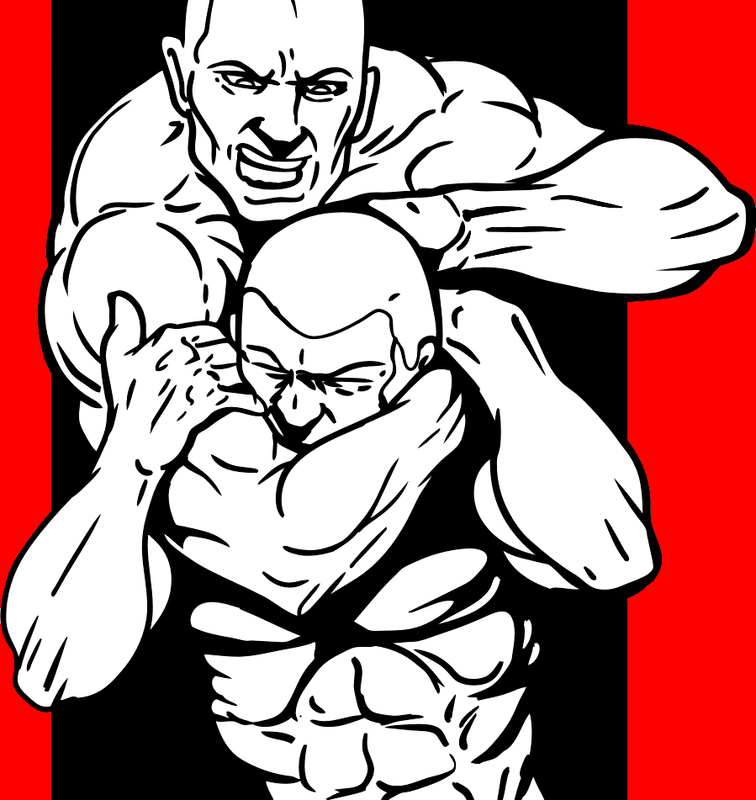 Chokes, neck cranks, jaw and chin cranks, armbars, shoulder, wrist, and hip locks (straight and twisting armbars, shoulder locks, and wrist locks), knee locks, foot locks, and ankle locks (heel hooks included), and key locks. All finishing techniques must be applied in a gradual and safe manner or will result in disqualification. ILLEGAL TECHNIQUES: Strikes of any kind to any part of the body, including elbow, forearm, knee strikes, and head butting. Attacks to the windpipe, eyes and nose. Fish hooking, biting, spiking an opponent on his/her head, pulling hair, pinching, twisting of skin sticking a finger into a cut of an opponent, small joint manipulation, putting a finger into any orifice, interference by a corner with any official or fighter, attacking an opponent before or after the fight, during a rest period or when being attended by medic or any other official. Throwing an opponent off the mat and general unsportsmanlike conduct. The rules are pretty simple and straight forward. When in doubt, do the honorable thing, and remember that you are representing yourself, your school or gym, and the sport. Let's have fun and showcase the sportsmanship in this sport. Final day to register your team or school will be Saturday December 7. This exhibition team tournament will take place in the city of Pasadena at the Villa Parke Community Center gymnasium. Here's a video from the last No-Gi BJJ, submission grappling tournament in Pasadena at the Villa Parke Community Center.